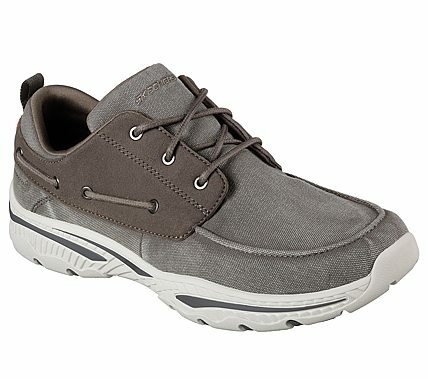 Keep sailing along in smart style and amazing comfort with the SKECHERS Relaxed Fit®: Creston - Vosen shoe. Soft woven canvas fabric and soft suede-textured microfiber fabric upper in a lace up casual comfort boat-style sneaker oxford with stitching and overlay accents. Air Cooled Memory Foam insole.